Song can be an effective tool in the teaching of ancient Greek at any level. Several of the melodies preserved in Egert Pöhlmann and M.L. 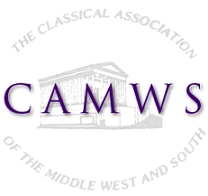 West's Documents of Ancient Greek Music are sufficiently accessible that instructors can teach students to sing them. These songs bring the joy of singing to the classroom, and they provide a direct connection with ancient Greek experience. They also prove useful in the teaching of pronunciation, grammar, and vocabulary; and they encourage discussion of both ancient music and other aspects of Greek culture, including the transmission of texts, theater, epigraphy, attitudes to death, and history. Another way of bringing song to the Greek classroom is through the singing of ancient verse with melodies made up by the instructor or students. Because of the close correspondence between meter and rhythm in Greece, singing Greek verses with long syllables as quarter notes and short syllables as eighth notes captures something of the way much verse was performed in ancient times; and singing of verses provides both valuable mnemonic help and an enjoyable way to introduce discussion of literary history and other elements of culture. This article describes a use of instructional technology in an intermediate-level college Latin class. Students were aided in their translations of Cicero's Pro Archia by the use of a tablet computer which recorded the process of parsing and translation in electronic files. The files were then available to students for use in reviewing, studying, and preparing for quizzes and exams. Students believed that the instructional technology helped them improve their understanding of the Latin text. Analysis of their outcomes shows that the technology primarily helped those students who came to class and used the materials for review. This paper calls for profound reconsideration of Latin teaching methodologies and for the promotion of Latin as a communicative language rather than an artifact to be studied. It delineates the imperative for change as a necessity for the survival of Latin programs, then introduces the reader briefly to: the discipline of Second Language Acquisition (SLA) research and certain principles derived from its results that are particularly relevant to learning Latin; and to instructional applications of SLA research that pertain primarily to the teaching of grammar. Finally, it calls for SLA research aimed specifically at the acquisition of Latin with fluent reading as the goal, which would not only inform instructional practice but would also serve to set Latin on a par with its modern language counterparts, yet one whose study provides unique benefits. An appendix offers examples of classroom activities that align with instructed SLA research results. Just as writers and artists have reimagined and reworked episodes from Vergil's Aeneid for new audiences, this essay encourages teachers to take advantage of digital technologies to ask their students to participate in the ongoing community of readers and writers who have been inspired by Greek and Latin works, to become co-creators of new versions of ancient works, and to share these works through various media for broader audiences. This essay argues that multiliteracy approaches to language acquisition, intercultural literacy, and critical reflection are powerful tools for leading our students to linguistic, cultural, and critical competence. After presenting an introduction to the theory of multiple literacies, this study examines student multimedia reworkings of the Aeneid and their reflective essays from an undergraduate, advanced-level Latin course, The Age of Augustus, that focused on Vergil's Aeneid. Finally, as a case study one particular student reworking will be analyzed in greater detail to explore the impact that such a project has on student language proficiency and on attention to genre, purpose, and intercultural literacy.